Hey blog readers! We had our first dev stream for this game and it means a lot to us that many came out to watch and support us (even after a really rough start). Aside from the video update every week on the Ninesquirrels channel, we will also be updating this blog to monitor our progress and hopefully share some helpful insights with our fellow devs. But more importantly, we are doing this because of the experience we had during our Early Access for our first strategy game, Legends of Callasia. We had so many great responses from our early adopters, so we want to replicate that and get everyone involved early on in Last Regiment. So as we start this blog, we’d like to do a little post-mortem on LOC to explain why we are making this new game. Let’s start with what people loved about Legends of Callasia. It’s a turn-based game that can be played in a reasonable amount of time, largely because of the simultaneous gameplay. You can play multiplayer on a desktop or a tablet with your friends in an hour and a half – it doesn’t take forever! But as with any game, there are bunch of things we thought we had to improve or wished we could have done. No level editor. The whole game is structured in a way that creating a map starts from a hand drawing, transformed into several layers of Photoshop, then an Excel file. It was frustrating every time someone asked if they can make their own maps – it was a cool idea that we would have liked to have done but only possible if we start over from scratch. The learning curve. Though people enjoyed the game, many didn’t understand how things worked when they first played it. They got confused about the combat system: how armies work, what do the unit stats mean, how much is the actual damage, who gets attacked first, etc. The game had a system but we weren’t able to explain it very well. The battle screen felt like a game of its own which players couldn’t understand. It became a huge barrier for getting first-time players to become interested in the game, and though we had people in the community helping out the newbies, we would very much prefer if the mechanics can be easily grasped when you hopped into the game. The story / lore. Admittedly, the story was not something we had focused on in LOC. We had assumed our players would only want to move their armies around and not deeply care about the story – we were wrong. We went for classic fantasy characters such as humans, elves, dwarves, and the undead. People were asking us about the lore, and as we went along we tried to add story. 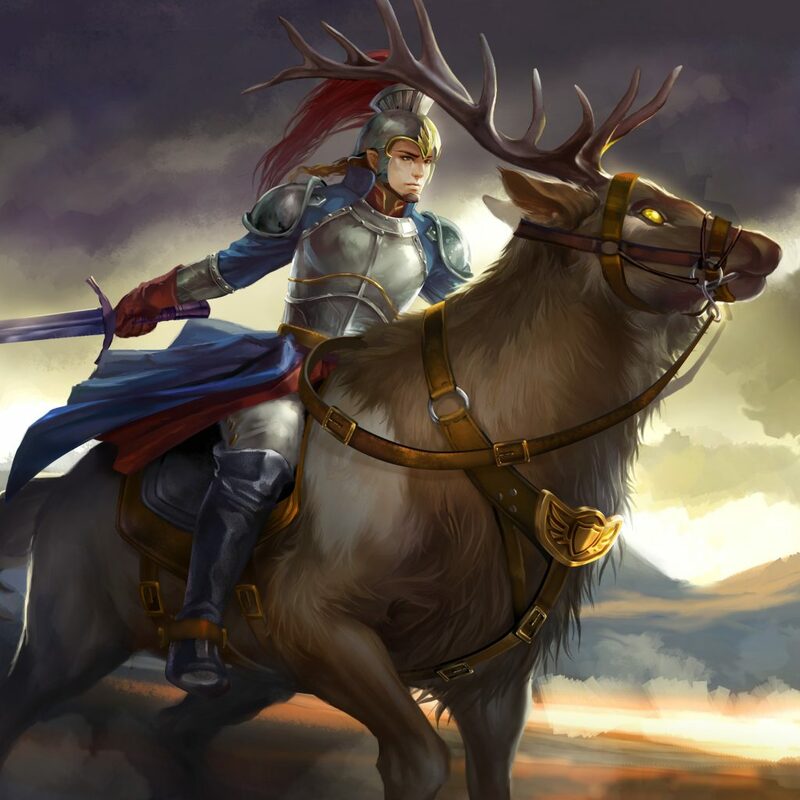 This is another big change we plan to do in Last Regiment – to create a real world, write meaningful stories with original characters that stray a bit from the obvious fantasy tropes. Faction and unit structures. 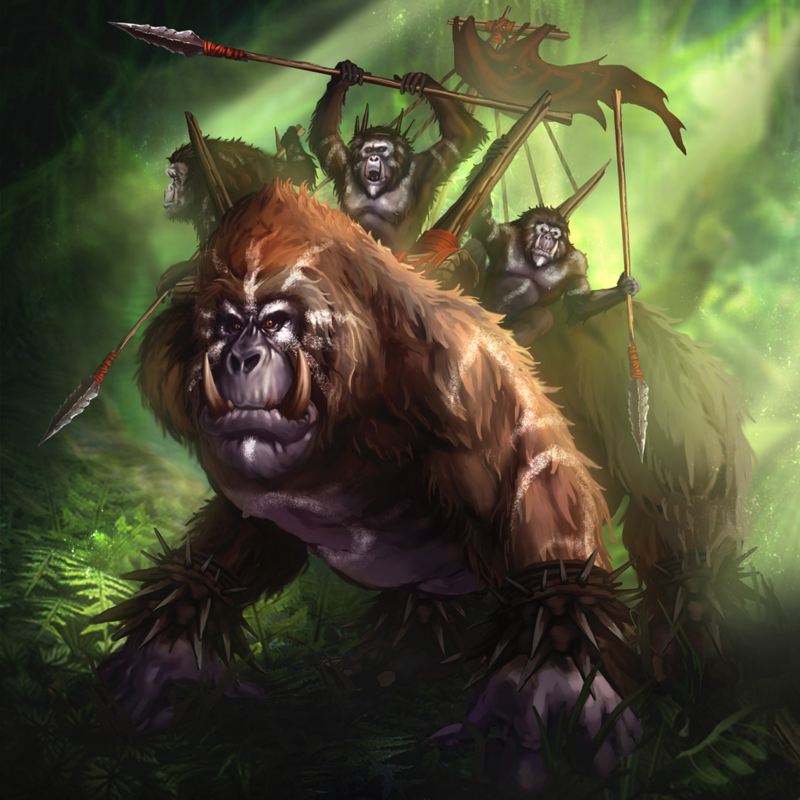 With each faction having only 6 units each, there were limited unit combinations or synergies that a player can come up with. You cannot use units from different factions. Once players have figured out the best way to play each faction, it shortened the lifespan of the game, even if we released new updates. There was no challenge to find new synergies that no one else has figured out. Now these were the things we wanted to change, but unfortunately were not possible at the stage Legends of Callasia is in. Thus, the idea for Last Regiment was to take the things that people loved in LOC and address all the issues we had to make a much more improved strategy game. Last Regiment will also be a fantasy-themed game like LOC, with story-driven single-player campaigns, and maps to play in skirmish or multiplayer with AI or human players. It would also have its built-in map editor, which is made possible now that we’re using hex-based maps. 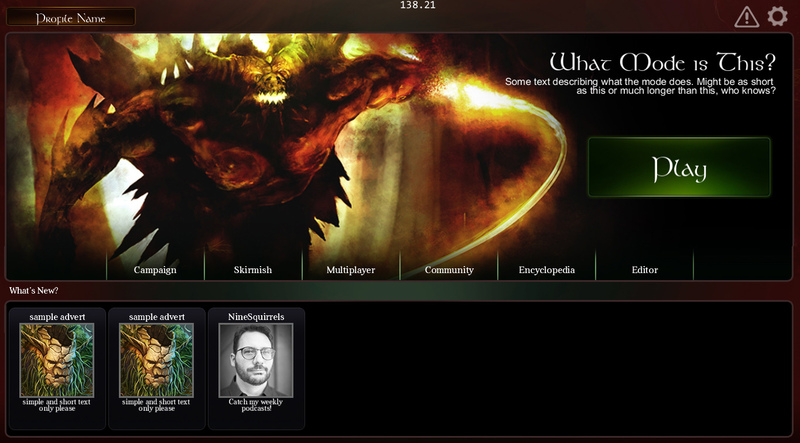 We are also working on an improved UI for the main menu, with a dedicated space for news and announcements, instead of the notification pop-ups in LOC which players found annoying. Note that the images in the screenshot are mostly placeholder. Unlike in LOC, there won’t be any lands or kingdoms to conquer, which usually takes a few turns before any action happens. We go straight to the fighting and let you control units from your pre-formed regiment and capture specific structures. Aside from the hexes, we are also implementing fog of war and will be introducing mana, which will allow you to summon new units on the map. You can have units from different factions and go into battle without going into another screen. You can watch Chris playtest the game in the video (#1.2) to get a clearer idea on how movement and combat work. We’re making the map editor as easy to use as possible and adding different terrains, structures, and decals in order to have that same fantasy map feel from LOC. The buildings you’ll have are based on the lore and the different factions in the game. Some will also have special abilities and features – more on that in the video (#1.3). The idea for the story begins with an old, European-style world who colonized a brand new continent called Kothia, leading to incredible colonial wars. Humans from the old world brought constructs made of magic and machinery, and these encouraged the natives to fight back. 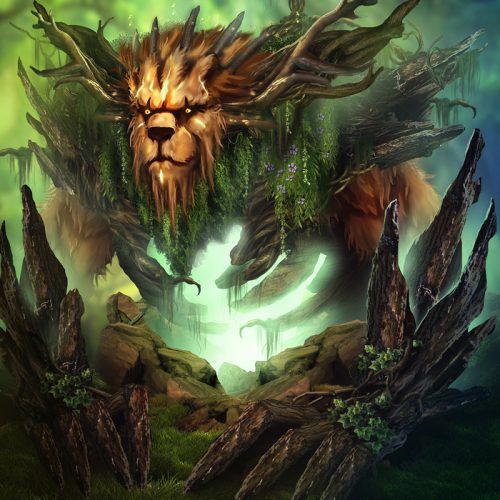 The Highborne, one of the original inhabitants of Kothia, needed magic to fight this with and so they summoned spirits of the forest, currently known as the Woodspawn. Meanwhile, the Orcs summoned the spirits of death and brought forth fungal growths that infected people and rotted out their brains. The new world becomes a desolated wasteland. The humans went back to the old world to develop better tools and technology, which we based on modern, 1750s technology such as cannons and galleons. With these new powers, they returned to Kothia and the Reconquest began. But back in Kothia, the people who had retreated created stronger magical factions to fight the chaos happening in their world. 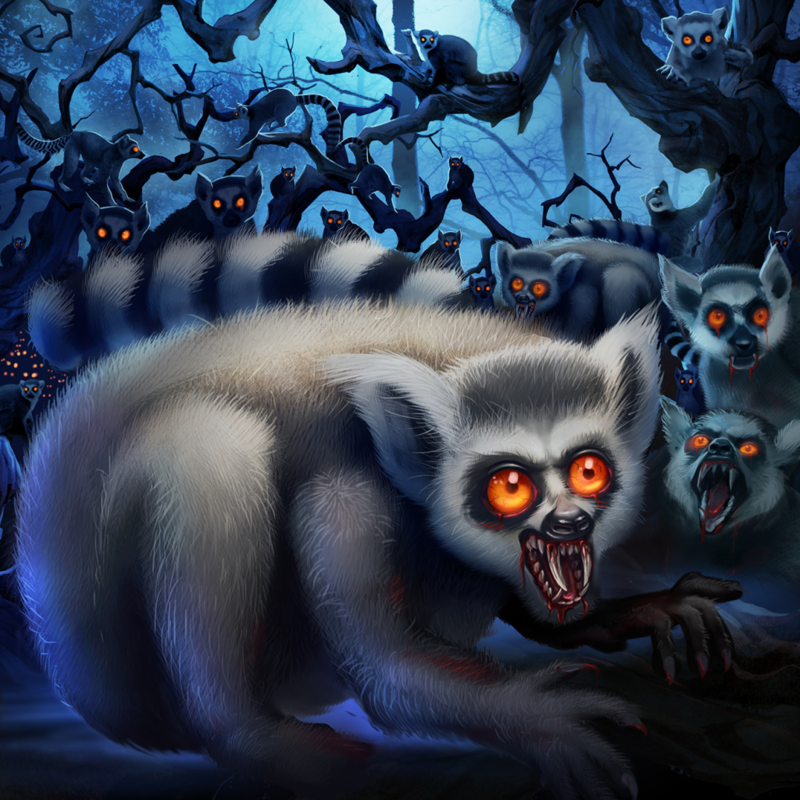 New units such as apes and vampiric lemurs had spawned. The game now takes place in a world controlled by little armies and mercenary kings fighting each other. 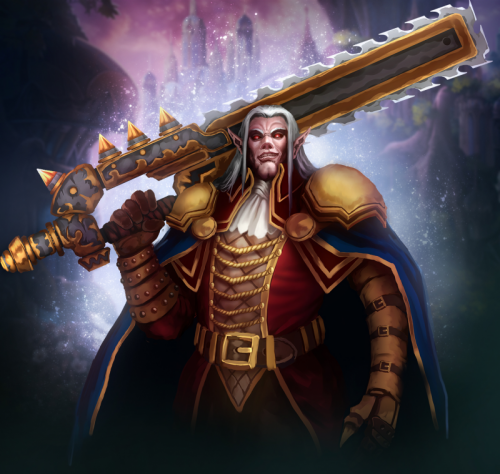 There will be units based on different factions, races, and technology. You, as the player, will be constantly putting together mercenary armies based on these warring factions. We introduced Olivia in our previous post, but this time we show you her full portrait. She was previously in one of the early colonial armies during the Reconquest, but after some events, she ends up being a pirate at the seaport of Saltia Ruma. The story begins with Olivia returning to Kothia and forming her own mercenary army. 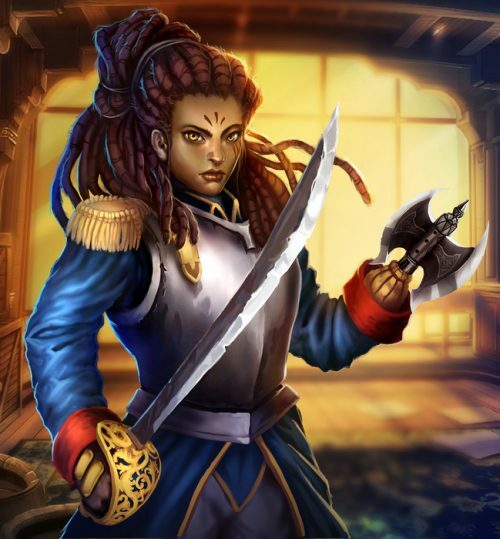 Yes she is a one-armed female pirate, and we’re excited to tell you about her journey. Will there be non-unit stuff from each faction that you can take? Answer: Yes, there will be powers and abilities, but instead of putting them in the regiment bar, we gave those to the units who can only use in specific ranges at certain positions in the map. Can any creature activate the different buildings on the map? Answer: We like the level of humor where ridiculous creatures can do ridiculous stuff, so yes. Also, we don’t want to give any very specialized characteristics for the units, because when you implement those kinds of rules, it complicates the gameplay and it has to be explained in the game really, really well. Will the story be on a level that I can stream during my story playthrough time and enthrall my audience? Answer: Definitely. We’re still aiming for missions that take 30 minutes to two hours, similar to LOC. The story will be made up of number of maps and it won’t just be about conquering territories. It will be about moving through different hexes and telling stories based on places and characters on map. The answers are explained in detail in the video (#1.4), so go check that out for more info. So there you have it – this is what you can expect from Last Regiment. If you have questions, just leave a comment or visit our Discord. Or you can drop by our stream next week to ask us directly. Thanks for reading this to the very end. And we’ll continue updating this blog for all things Last Regiment.